The story is considered a masterpiece by national and international critics. The pictures are suggestive for Romanian dress and architecture. They tell a captivating story that emphasizes the tragic consequences of children disobedience. 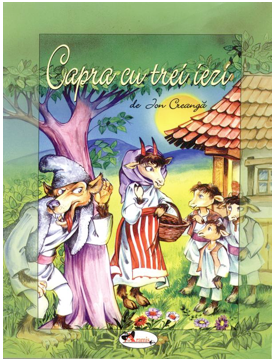 It provides information about Romanian culture. The content of this project does not necessarily reflect the position of the European Community, nor does it involve any responsibility on the part of the European Community.